Hi! 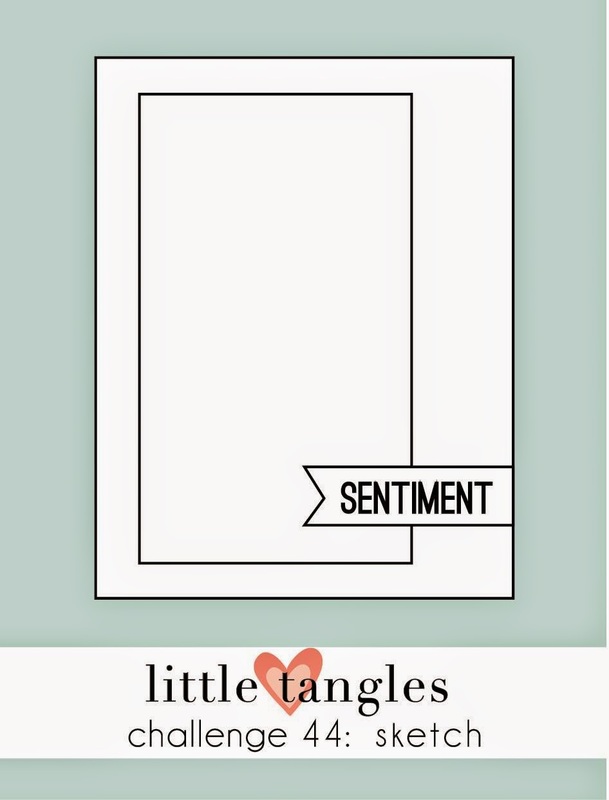 We have a fun sketch for you to play along with at Little Tangles this challenge. I went with the sketch as is and had fun with some inks. I white heat embossed the Sunburst stamp and coloured it in with some Memento Luxe inks (I LOVE them, so creamy and bright!) I die cut the inked stamped image and adhered it to some white card stock. I stamped the sentiment from the Neat & Tangled Everyday Labels set and adhered it to the card along with a heart I punched and added glossy accents to. 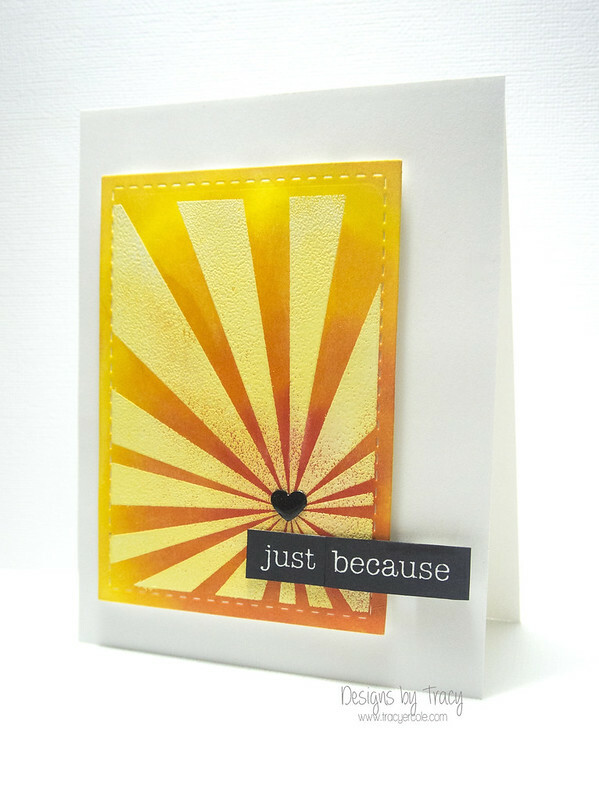 I am also playing along with the STAMPtember Stamp It and Blog Hop at Simons Says. I like the sunburst, very pretty!! 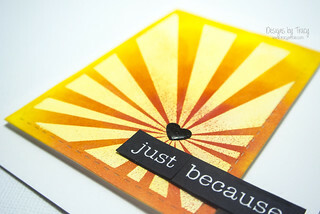 Wow - I can almost feel the heat from that card - I LOVE the colour you've used and the embossed image is stunning. 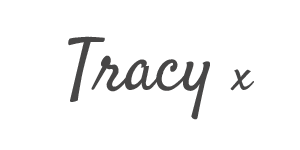 Thanks for joining in at Simon Says Stamp STAMPtember Challenge!